Color changing slime? Absolutely. This slime is soooo fun. We can’t stop playing with it. 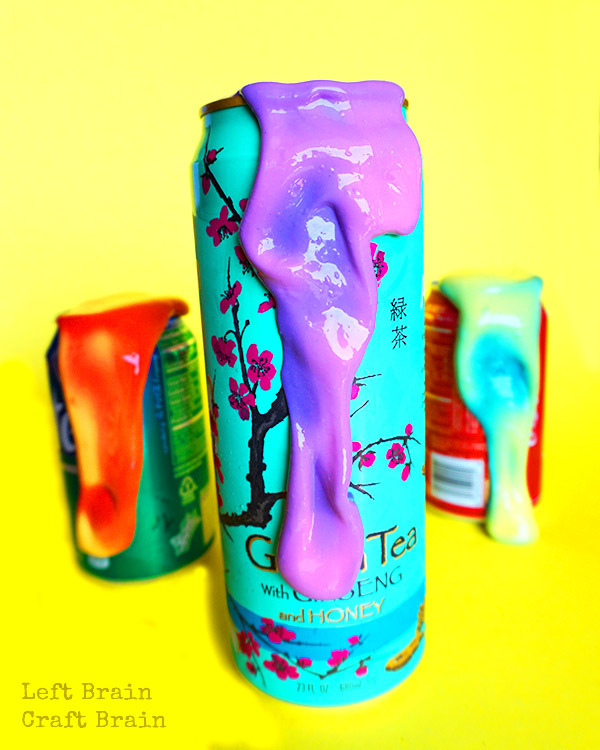 Hot hands, cold drinks, the sun all make this slime change color. It’s Heat Sensitive Color Changing Slime. And there’s some pretty cool science behind it, too. This post contains affiliate links. 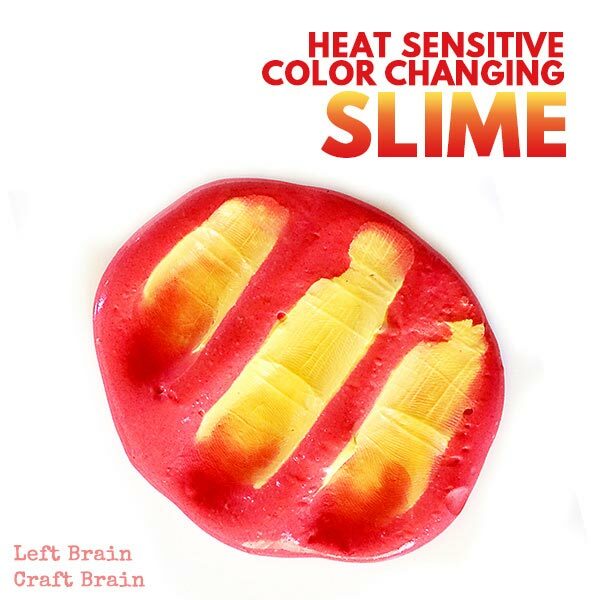 This slime gets its color changing super powers from thermochromic pigment. Thermochromic materials change colors when there is a change in temperature. Mood rings and lipstick use them. And so do those rubber duckies that tell you when the bath is too hot for baby. There are two main types of thermochromic materials: liquid crystals and leuco dyes. In liquid crystals, temperature changes cause the crystals to move and change the spacing between them, which then causes light to refract at different wavelengths. Different wavelengths create different visible colors. (For more on that phenomenom, check out this Prism Play post.) Leuco dyes use a similar mechanism, but instead of changing the distance between crystals, temperature changes cause the dyes to change molecular structures. One form reflects colored light, the other colorless. How Do You Play With the Thermochromic Slime? This really was the fun part… Dreaming up ways to make the slime change color. Putting it on soda cans and coffee cups. Holding it with hands that have held an ice pack or heating pad. Breathing on it. Spinning it like a jump rope. (Really! It gets colder because of the air flow around it.) Using it as a thermometer (the pigments we used go clear at 71.6 ºF so we could tell whether it was hotter or colder than that.) Putting it in hot and cold water baths. So much fun! You can watch the slime change color in this video! Pour 1/4 cup glue into a large bowl. Add 1 tablespoon water and stir until combined. Add 5 drop of food coloring and mix well. Then add 3 teaspoons of thermochromic pigment and mix until uniformly distributed. Add 1/8 cup liquid starch and mix until thick and slimy. Then knead the slime with your hands and return to the starch mixture for another mixing. This step is important because it makes sure there’s no unmixed glue hiding in the center of your slime ball. 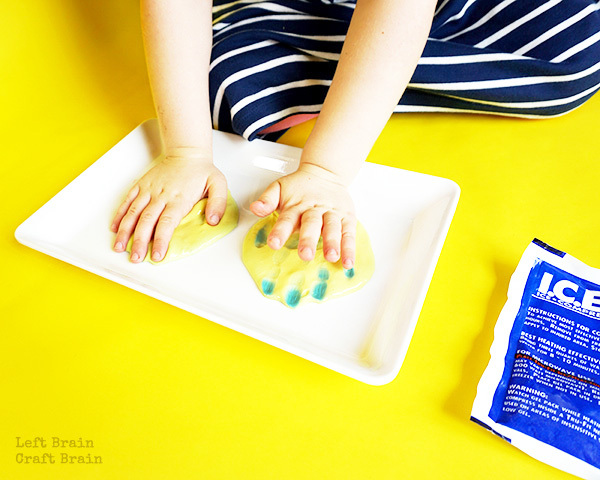 If slime is still sticky, add aditional starch, a little bit at a time, and knead until not sticky anymore. Most batches will use almost all of the starch. 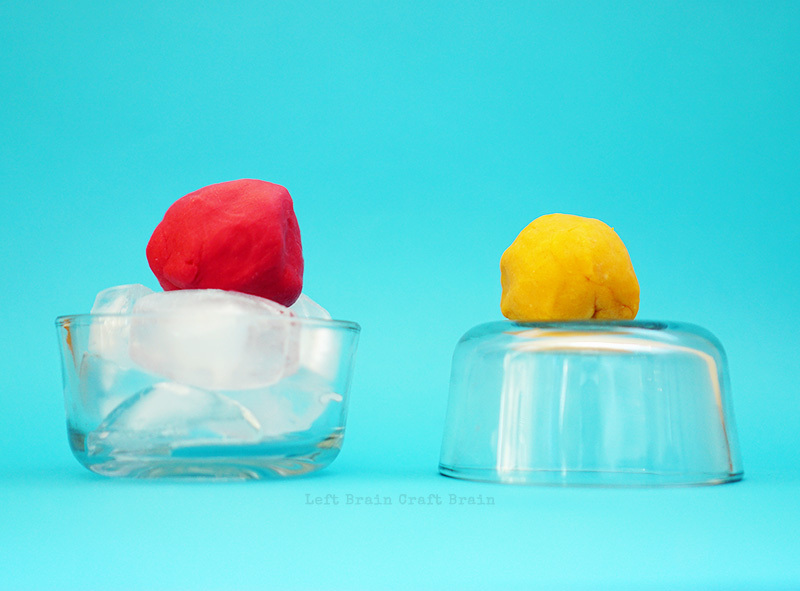 Store slime in a glass or plastic container with a lid for up to one week. I noticed that it needed a bit more starch if it had been a few days since playing with it. Just pour a teaspoon or so on the slime and knead it again. A bunch of you have been asking me, “Does this work with play dough?” YES! It does and it’s so cool. 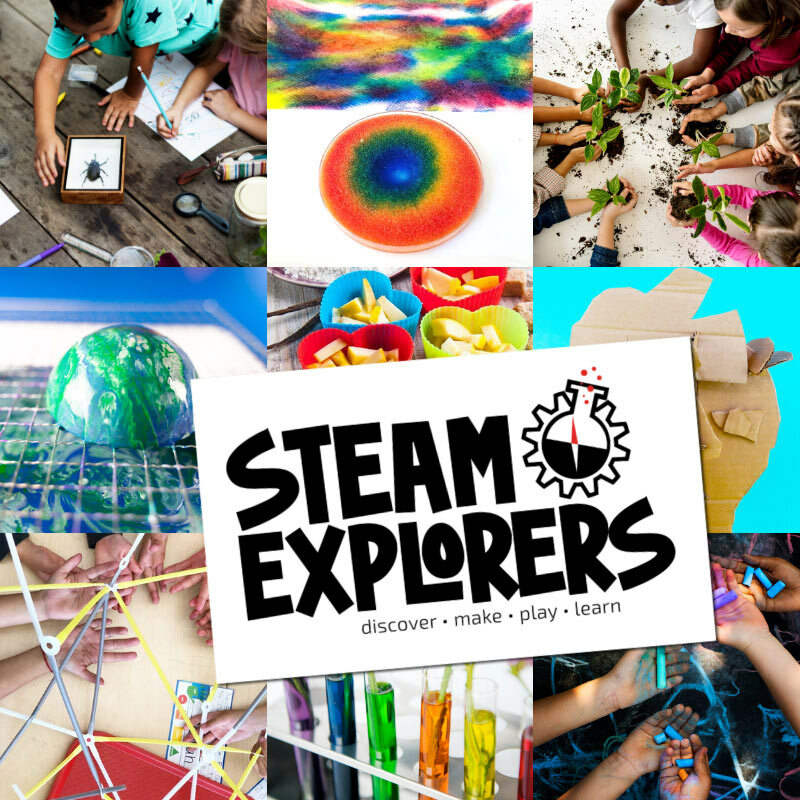 More Left Brain Craft Brain STE(A)M Projects! 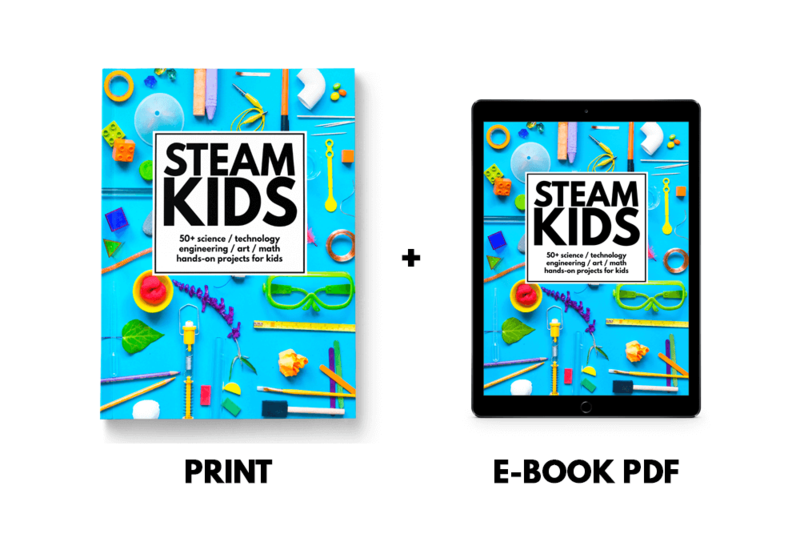 Follow our newsletter to hear about our newest projects for young engineers and learning loving grown-ups too! okay, that is just totally awesome! Must make some for the kids! How cool is this!! Wish I had seen this a week ago for the Science Fair in school! Would have been PERECT! Glad you liked it. Thanks for stopping by! Now you’re all ready for next year! Hi Robyn- Click the link on thermochromic pigment and it will take you to Amazon. That’s where I bought mine. Hi, I was wondering if you knew how many teaspoons are in a 10 gram package of the thermochromic pigment? I am thinking about doing this for my summer program. I am not sure how many recipes can be made with one bag. I get approximately 2 1/2 batches per 10g bag. Hope that helps! Too bad the special pigment is so expensive! 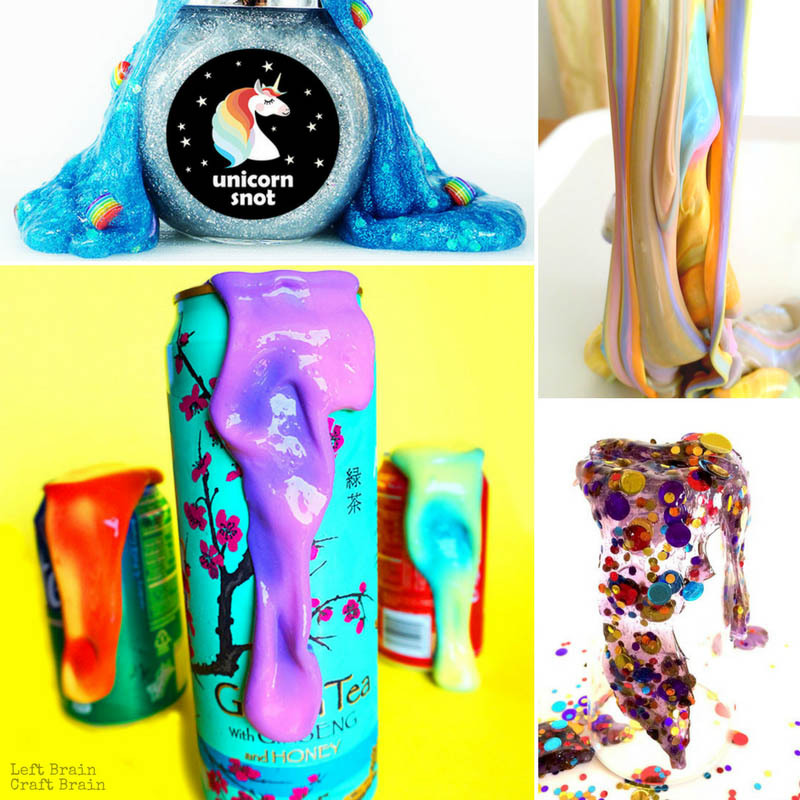 Yeah, it’s more expensive than using food coloring, but the slime (and the fun!) lasts for a long time. This would actually work really well for special effects. Great idea Josh! Thanks for stopping by. Hi Stephanie. I haven’t tried play dough yet. It’s on my list to do so stay tuned! Thanks for the info! I actually have used it in play dough and it works great. I made a small batch with about the same amount of pigment as the slime. So not cheap, but really fun! 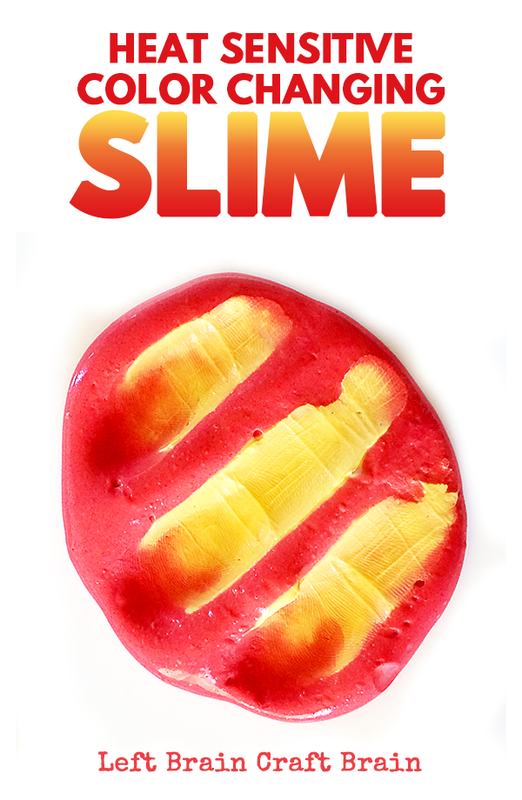 This is absolutely the most incredible slime ever created! I remember being in love with the colour changing t-shirts growing up and I can see not only the kids loving this but me as well. Thanks for the awesome idea and tutorial! Thanks so much! Hope you had fun with it. Does this keep long? Can I refrigerate it or leave it out? for it to last a few days? The slime will last for about a month-ish. You don’t have to refrigerate it, but I do because then the color will change the first time you handle it. Also, be sure to keep it in a dark place because the pigment loses it’s effect the more it’s exposed to UV light. If I was to use this in a classroom, would the thermochromic pigment be safe? Also how much does it make? I noticed that I can only buy it in 10-20g portions.Your link directs us to a 10g bag. Does 10g make one batch? Hi Nathan- Safety would depend upon the age of the children you are teaching. I recommend not using this with children that still pop unusual stuff in their mouth. A 10g bag makes about 3 batches. !!!!! This is absolutely the coolest thing I’ve ever seen. I cannot wait to make this stuff! I don’t think we’ll ever stop playing with it. Thanks Jeanette :) It means a lot to hear that from you! Have fun playing with it (we can’t stop either). I see the pigment affiliate link notes the weight in grams. But I can’t tell if you need to use the whole packet to make one batch of slime. Or does it come with enough to do multiple batches? Nevermind! I just saw the comment above that answered my question! I noticed that in the material list it says 1/4 cup of liquid starch and then in the actual directions it says 1/8 cup. Which one is correct? Hi Sam– You should start with 1/8 of a cup of starch and knead it into the glue. If the slime is still sticky, add more starch until it isn’t. Some batches seem to need a little more than others, but I’ve never found any that need more than a 1:1 ratio of glue to starch. I am doing this for 15 kids. How much of the pigment should I purchase and about what size would they each have? Hi Tina! I get about 2 1/2 batches per bag of pigment. I would say you could split the batch among three kids and they’d have a golf ball sized ball to play with. This just an estimate, but I hope it helps. My daughter and I are trying to make this for her science fair at school. We made it following your directions but are having some issues. I was hoping you could give me some guidance! We did yellow thermo powder and blue food coloring so the slime turned green when we mixed it. I can’t get it to respond to cold at all. We’ve even put it straight onto an ice pack. Does it not turn a color when applied to cold from room temp? I can get it to turn to the blue when I put a hairdryer on it but it doesn’t respond to our handprints or to us breathing on it. Did we maybe do something wrong? Thanks for your help!! Hi Alyssa. Can you tell me more about the pigment that you bought? At what temperature does it transition? It should list the temperature in the Amazon listing. Typically these pigments will turn clear when hot, but if the transition temperature is too high, it’s hard to get it to change with anything other than a hair dryer or a hot cup of liquid. It sounds like at room temperature, your pigment is cold enough to show, so it made green. My other tip is that blue food coloring often overpowers all of the other colors. Maybe try using a little less blue food coloring or a different color. What temperature does it change at? It depends upon the thermochromic pigment you buy. The product description should tell you. I was wondering if this would work with thermochromatic ink/paint instead of powder? Im in the UK and the powder seems tricky to come across. Hi Aimee– It should work with paint as well. You might need to reduce the amount of water in the recipe though a bit to account for the water in the paint. We loved this idea so much and are trying to make it for our Pre-K classroom – but we are having no luck! We bought the pigment you link to (I also copied the link below) and followed this recipe but can only get it to change color by running it under hot water (through the plastic bag). The pigment is blue so we put yellow food coloring in, the slime is blue with a green tint and does not change color at all when touched. Are we missing something? Are there ways to troubleshoot? Did you try putting it on an ice pack? It should change to yellow when you do that. Thanks for the reply! When we put it on ice it turns darker blue, when we pour hot water over it (through a ziplock) it turns yellow. But then it only stays yellow for about 30 seconds (one minute tops) of manipulating it. Once it turns turns back to blue it doesn’t turn yellow through touch. I’m so bummed. I’ve made regular slime before with no problem. I’ve tried making two different batches of the color changing slime and it hasn’t worked. I tried blue pigment with yellow food coloring and red pigment with yellow food coloring. Could it be because my food coloring is expired? Any other suggestions? Does the pigment change color if you put the bag (not in slime) in the freezer? I’m suspecting your pigment might be off. Also check at which temperature the pigment transitions. It might be hotter or colder than you think so it might not be changing. I was wondering about your measurements. You keep saying that a regular 10g bag makes about 2 1/2 batches, but your recipe requires for 3 teaspoons. 10 grams would only be about 2 teaspoons, So, which is it? Would I need 3 teaspoons or 4 grams? Hi Mariana. The pigment is really light so you get quite a few teaspoons out of a 10g bag, not just 2. You should plan on using 3 teaspoons.